This end of the month period is very difficult for any pure foodie but we’ve hunted down an offer that you cannot refuse. Cyber Hub’s Smaaash has you covered with their uber affordable buffet and a free drink to go with it. At Smaaash, you get way more than you pay for. A meal that will fill up your tummy for good and a nice pint of beer for free to digest it all are the two things we all crave for when we go out. Even in in terms of the meal, you get to choose from North Indian, Thai and Continental. Add to all of it the fact that you have to pay as little as INR 499 for all of it! What’s more? They have the buffet option for lunch AND dinner. So, you can go for a nice lunch between 12.30pm to 3pm or a heavy dinner between 7pm and 10pm. 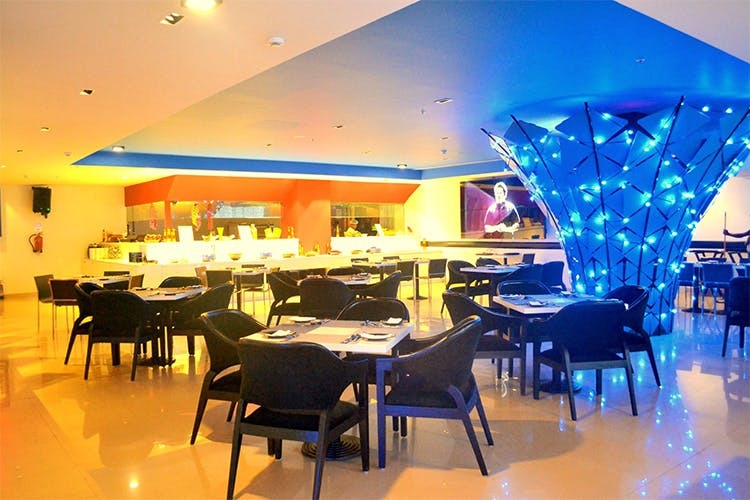 Smaaash is a place where you get great ambience, delicious food and the gaurantee of having a great time. With this buffet, rest assured you get all of it at the best prices. So, what are you waiting for?